God is good. And God is merciful. 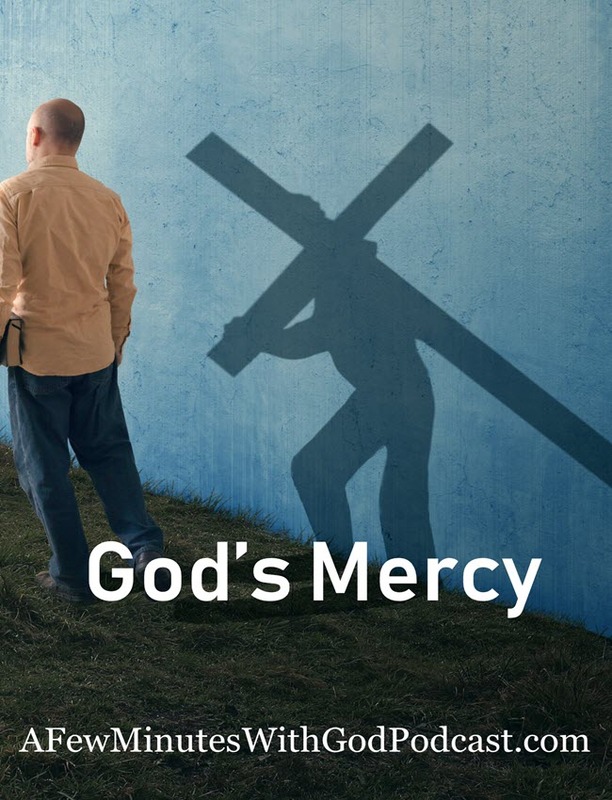 But do we really understand the amazing power behind the Mercy of God? 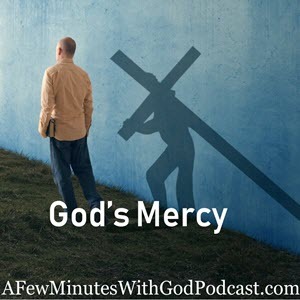 In this episode, we will discuss God’s mercy and the fact that He can forgive your sins if you just let Him. Thank you to …the movie Like Arrows. This family-friendly movie deals with marriage, children and aging in grace as a couple. You will love this movie! Look for it at a theatre near you, and save some money to buy the DVD for your home library! Do we trust in God? Do we trust in His mercy and forgiveness? If we do we wouldn’t walk around with the burdens of the world on our back. We’d be happy and joyous and hopefully, after listening to today’s episode we will all feel that way. Forgiveness of sin is a funny thing and it combines so many elements of the human nature. One is guilt, we are guilty we sin. The second is blame. We often blame others for our sin and it isn’t our fault. The third is unforgiveness, we can’t forgive others or ourselves. The greatest of sinners can go to the feet of Jesus and beg for mercy and He will grant it! We are made up of body, and soul. For more information about this – go here for a balanced view that Catholics and Protestants agree upon. It is the soul that is wounded when we sin. Our souls live beyond this life while our bodies die. It is for this reason that our faith in God’s love and mercy are so important. If we appeal to the mercy of Jesus he hears us! God is compassionate and He wants us to repent. He wants us to go to Him with everything. With all our hurts, with our failures, with our sins. Especially with our sins. God will grant us more mercy and grace than we can ask for – because He is God. This calls to mind the Prodigal Son – Luke 15:11-32 This young man had it all riches and a father who loved him. He threw all of that away to live the life he wanted without his family and obviously in sin. He had to reject his family in order to live a life of sin. We too reject God in order to sin. This makes so much sense in the light of who God is – He is mercy and He is justice. If we don’t repent, turn back to God and ask for His mercy then we must expect His justice. I would rather ask for mercy and the grace to “sin no more.” The scriptures are filled with Jesus healing people. Bible.org has a wonderful explanation of the places in Scripture where Jesus healed as well as a comparison of the different accounts in Scripture that not only showed the authority of Jesus to heal as the Son of God but also His ability to forgive sins, the most important aspect. The authority to forgive sins from Matthew: this is a great reference from Bible.org. What would we rather have, the forgiveness of our sins or the healing of our bodies? I hope we all say mercy from God to justify us, to make us clean to grant us mercy. This is such an important part of God’s plan for us, His Mercy. His mercy is Divine, His mercy is more than we can understand. God’s arms are always wide open we are the ones who won’t step into His embrace. We turn our backs, we say…not right now God but maybe in a little bit. We are always busy. I think being busy is one of the greatest sins we have – we are too busy to deal with the important things in life and the most important is the love of God, then our spouse, then our children, then our friends. I think most of the time we have it wrong putting work above all things. God’s mercy endures the ages. We only have to lay down our sins and ask for His mercy, that brings excitement and joy to my heart! Lord, you have given us your love and mercy and for this, I am forever grateful! Thank you for opening wide the door of your mercy! Lord, I place my trust in your mercy, I find comfort in the fact that you delight in me trusting in Your mercy and You will grant me more graces than I ask for! I find comfort in the thought that you will not judge me harshly if I trust in Your mercy. Thank you, Lord, for your mercy… Jesus, I trust in You, today and Always. Amen.